Deep color depth and a nice ruby color. The aroma intensity was moderate even after swirling my glass. The development was young-fruity and there was not a specific dominant aroma. I detected cocoa, spice, ripe dark fruit. The Cabernet Sauvignon was dry, full-bodied, and the acidity was lively. The tannins were medium and slightly astringent, and I had rich mid-palate flavors with a long soft finish while tasting the wine. 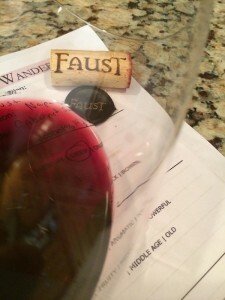 How much: $55.00 per bottle on the Faustwine.com website. 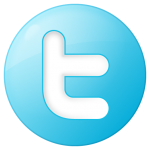 Wine composition: 78% Cabernet Sauvignon, 17% Merlot, 3% Petite Verdot, 1% Malbec, 1% Cabernet Franc. Aging: 19 months in 100% French oak, 30% new. I honestly think they should have called the wine a Red Blend. I realize that Cabernet Sauvignon is a big thing and that people search for it but a Red Bordeaux blend would be more fitting. We paired the Cabernet Sauvignon with our dinner and both Chris and I agreed that the wine was better with food. I did save a glass for the next day and it held up well. I recommend decanting this wine prior to drinking it so the aromas and flavors open up. 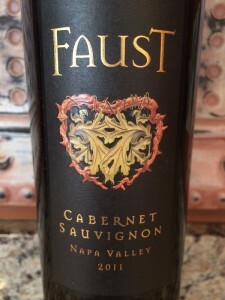 I rated the 2011 Faust Cabernet Sauvignon three glasses.